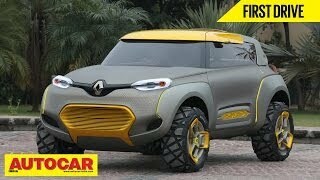 Renault unveiled a all-new concept, the 2014 Renault KWID Concept, at the 2014 Delhi Auto Show. 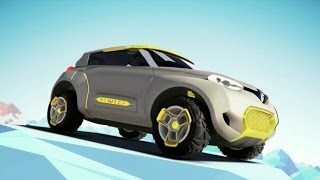 The concept was designed with inputs from Renault Design India and is covered by the ‘Explore’ petal of Renault’s lifecycle-based design strategy. The vehicle’s robust, yet fun design, along with its technology-driven features, is targeted at meeting the needs of young customers in these markets. 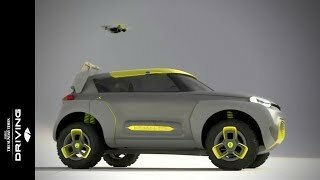 The vehicle’s exciting proportions and dimensions as well as very short overhangs give the impression of a bouncing vehicle, while its oversized wheels protrude past the fenders and make the KWID CONCEPT look like a buggy car. The interior of the KWID CONCEPT is designed to serve as a snug cocoon and is inspired by a bird’s nest. The vehicle’s seats, suspended over a solid base in white, give an impression of lightness, while their 2-tone elastomer material provides a sense of brightness. 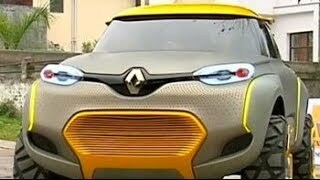 It is for the first time that Renault has unveiled a concept outside of Europe. Renault is seeking to make its presence stronger in the Indian Auto Market.